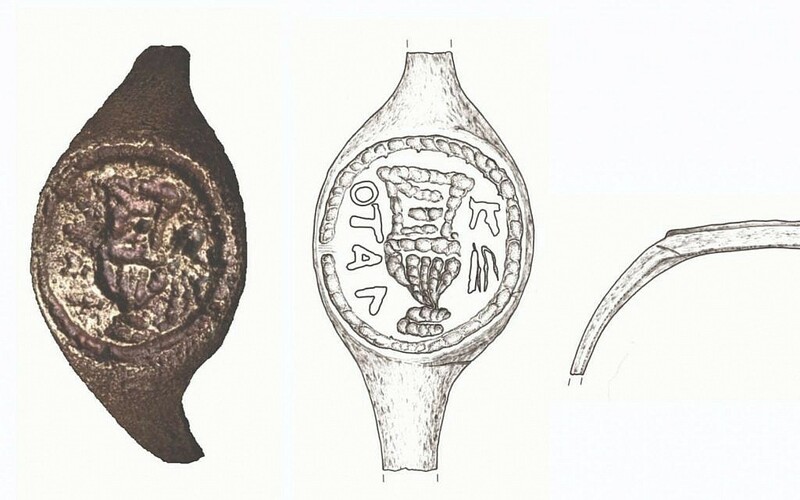 An intriguing 2,000-year-old copper alloy ring bearing the inscription “of Pilatus” may be only the second artifact testifying to the historicity of the infamous Pontius Pilate. 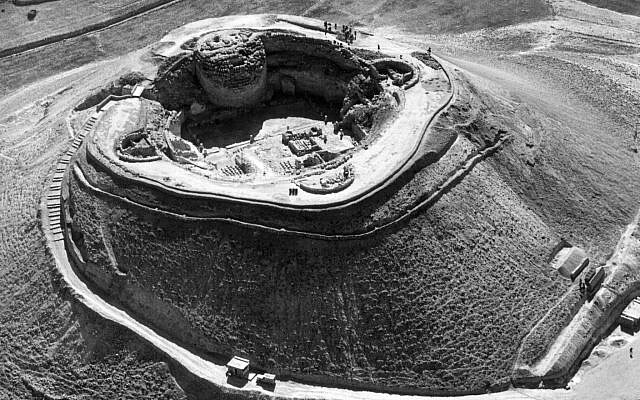 Unearthed 50 years ago, the ring was overlooked until recently, when it got a good scrub, and a second look. 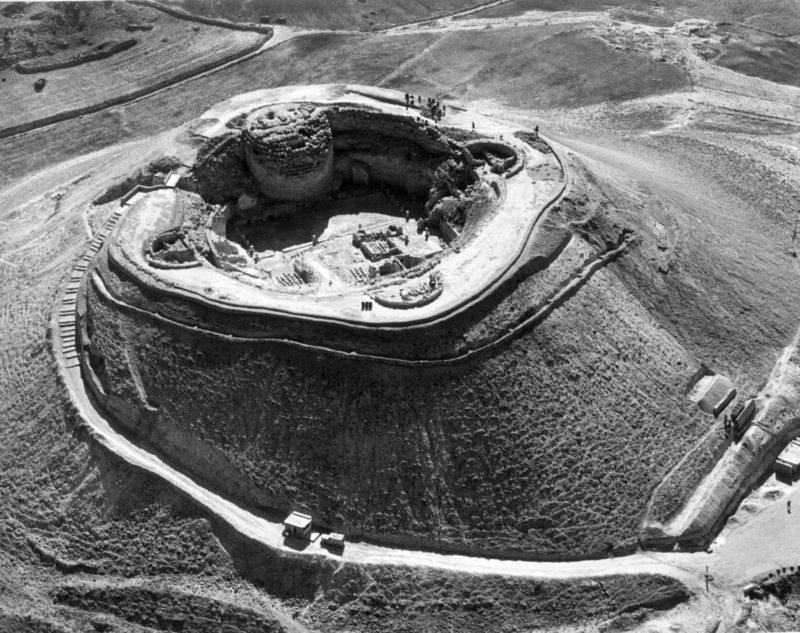 Archaeologist Porat told The Times of Israel on Thursday that to him, all explanations are equally possible for who was the historical owner of the simple copper ring. “It was important to publish a careful scientific article,” he said. “But in practice we have a ring inscribed with the name Pilate and the personal connection just cries out,” said Porat. At the center of the ring is an engraved krater, a large wine vessel, which is encircled by minute “partly deformed” Greek letters spelling out “of Pilatus.” According to DiSegni, the direction of writing for the broken-up word is clockwise (from upper right), and the word is partially “disturbed by a defect” in the metal. The final letter, given by DiSegni, is an educated guess, which turns the name into a possessive. 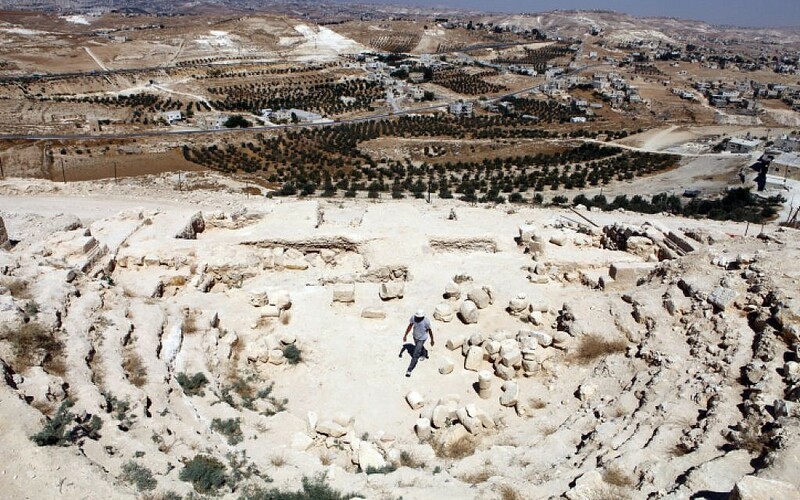 Could this “Pilatus” be the Pontius Pilate described in the New Testament? Of note, a motif close to the handleless large wine vessel appeared on a bronze pruta coin, which dates to 67-68 CE, years two and three of the Jewish Revolt, and depicted a handled amphora. 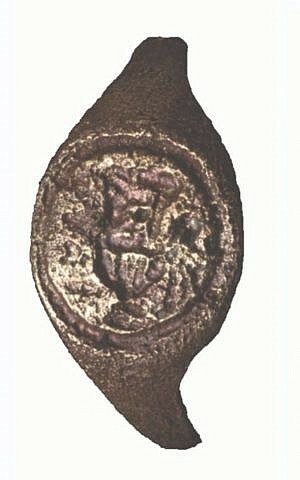 These coins date to the same archaeological layer in which the ring was found. 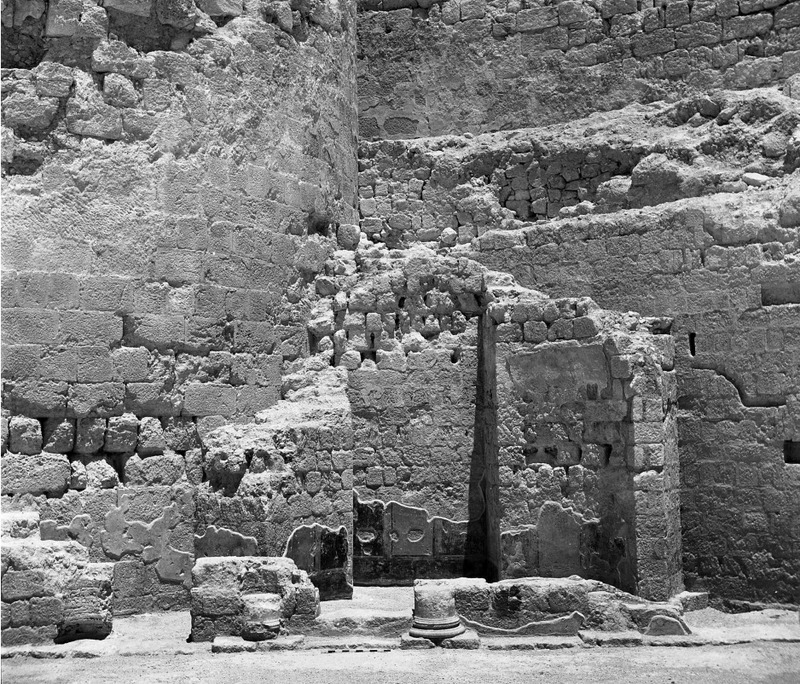 According to archaeologist Porat, the rebels made such a mess of the palace, that it is quite possible they would have moved a ring found elsewhere to this room and the discovery of the ring among the rabble’s rubble does not negate a Pilate connection. “The context is actually very suitable,” he said. “We propose, therefore, that this ring was made in a local workshop, perhaps located in Jerusalem,” write the authors. So whose ring was it? 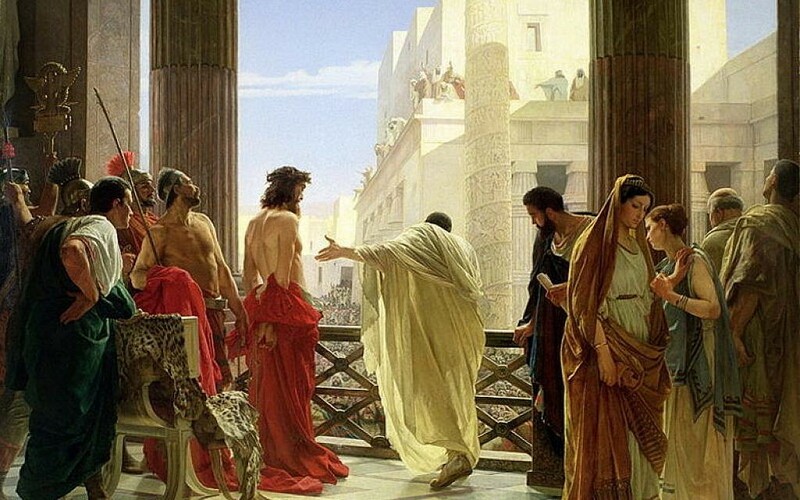 While the name Pontius was common for Romans during the Second Temple, Pilate was not. 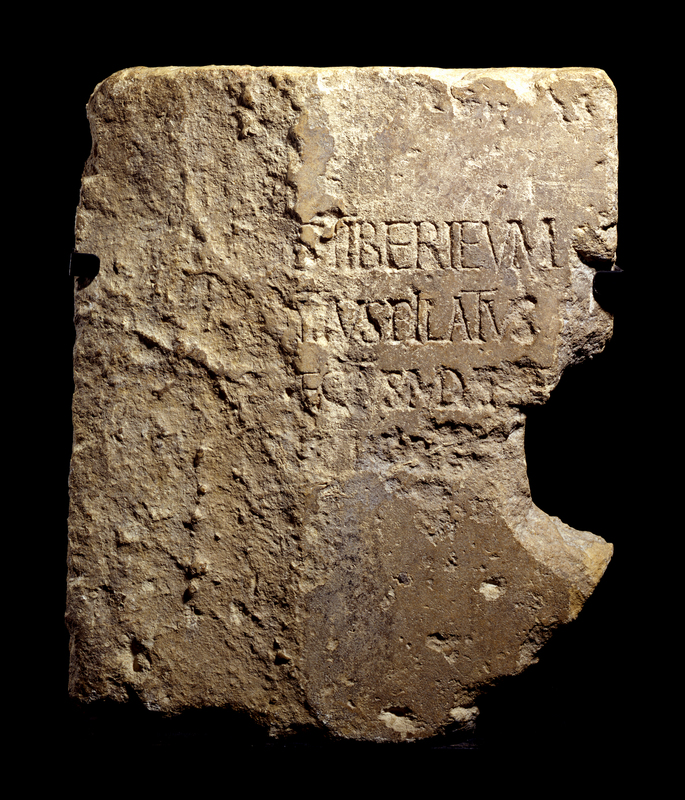 The only accepted historical artifact testifying to the life of the Roman prefect is predicated on this unusual surname. 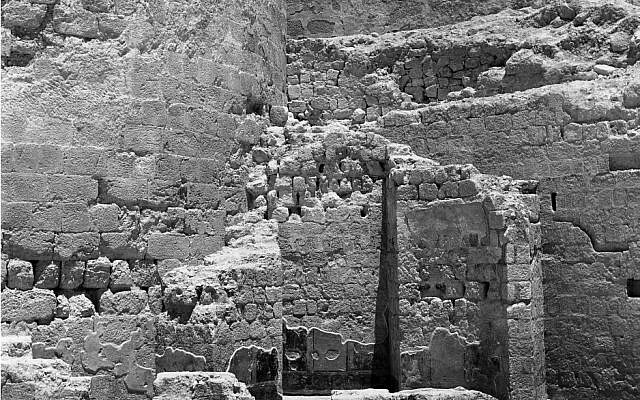 The “Pilate Stone” is a massive inscribed building block uncovered in 1961 excavations at a theater or arena at Caesarea Maritima. According to a September 2017 Biblical Archaeology Review article by Lawrence Mykytiuk, “New Testament Political Figures Confirmed,” it was found face-down and had been modified for its secondary use as a step. 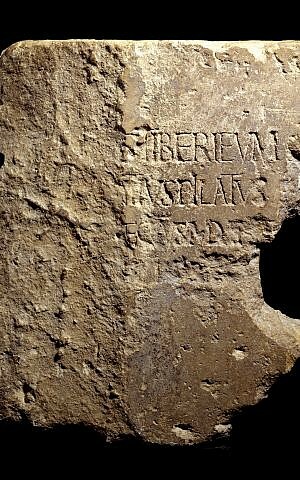 The stone contains four lines of text, two of which read, “[Po]ntius Pilate … [Pref]ect of Juda[ea].” According to Mykytiuk, the best estimated dating of the stone places it between 31 and 36 CE. The scholar writes that “the family name Pontius was common in central and northern Italy during that era, but the name Pilatus was ‘extremely rare. '” citing the International Standard Bible Encyclopedia. 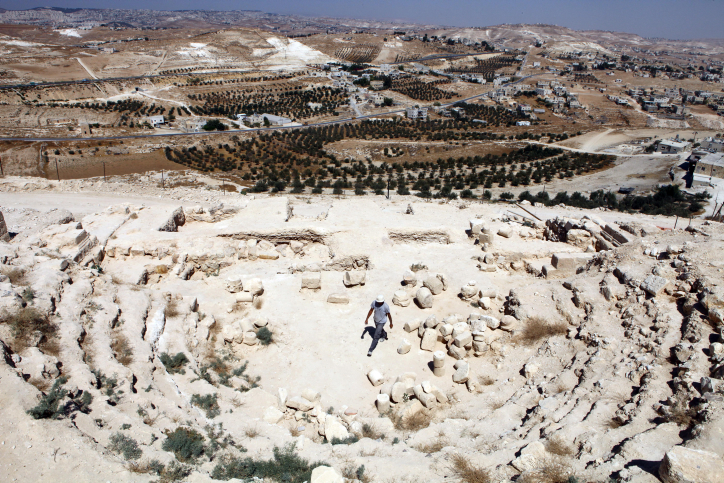 “Because of the rarity of the name Pilatus, which appears in full, and because only one Pontius Pilatus was ever the Roman governor of Judea, this identification should be regarded as completely certain,” writes Mykytiuk. This certainty that the name Pilate could only refer to the Roman prefect does not appear to be so complete in the case of the scholars examining the copper alloy ring. The name is derived from the Latin “pilum” (armed with javelin) and is a Roman cognomen, a sort of extra nickname given to Roman citizens that is passed on patrilineally. 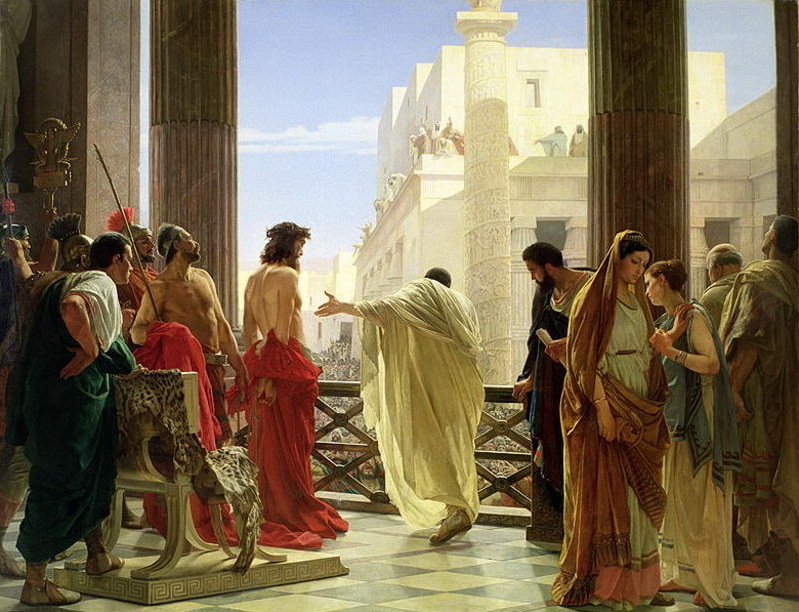 There is not, however, any other evidence of the name in the province of Judaea before and during Pilate’s rule.